Many schools, summer camps and other sports facilities are switching from chemical pesticides to organic fertilizers and care for their Athletic Field Turf in RI, MA and CT. Not only is this spurred by environmental concerns, but also by concerns for the safety and well being of children. 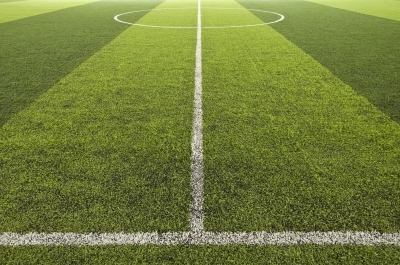 A statewide mandate that goes in effect in Connecticut in July of 2009 prohibits middle schools athletic fields and playing fields from using harmful chemicals. Sutherland Organic Solution has years of experience in developing and maintaining a healthy athletic field turf that will resist disease and insects and weed without the use of synthetic pesticides or dangerous chemicals. We specialize in Organic Lawn Care and Athletic Field Turf in Rhode Island, Massachusetts and Connecticut.